The very contrarian, very esoteric National Society of Film Critics, which is based in New York and always votes AFTER all the other critics’ groups have chimed in, went the astonishing way of naming Jean-Luc Godard’s 3-D, but art house flick “Good-bye to Language” as Best Picture. But then duplicated the New York Film Critics almost exactly by naming Marion Cotillard Best Actress for both of her acclaimed, but little-seen films, “The Immigrant” (pictured above^) and “Two Days, One Night” and Timothy Spall as the titular “Mr. Turner” as Best Actor. Best Supporting Actor was J. K. Simmons, of course, who can stop him for “Whiplash”? And Best Supporting Actress was “Boyhood”s Patricia Arquette, both continuing their seemingly unbreakable sprints to Oscar gold in those categories. If you remember last year the National Society was the only group to award “Inside Llewyn Davis” anything! It gave it best picture and best actor for the stalwart Oscar Isaac. Sasha Stone & Jeff Wells Champion Marion Cotillard’s Oscar Chances! Jeff Wells is all het up about it, too, at http://www.hollywood-elsewhere.com Jeff writes on and on about Marion’s plight in the positioning her, or the lack of it for two great performances this year, “The Immigrant” and “Two Days, One Night” and right now as Jeff points out “She is HAPPENING!” which is something wonderful to hear about this year’s Oscar race for Best Actress. I mean, face it. There’s really been almost no heat happening at all. Until now. It’s all just been Julianne Moore’s to lose. And now I love Julianne Moore. Everyone in Hollywood AND Elsewhere does. And she’s never won an Oscar and this year it seemed finally to be HER MOMENT. 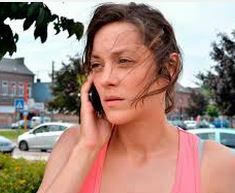 Until Marion Cotillard started winning like FOUR Best Actress Awards across the country in the past week, and Julianne, well, she came in second to Patricia Arquette in the L.A. Film Critics Best Actress race. Jeff Wells has started hilariously calling them, the LA Film Critics, “The Lunch-breakers” and he’s going to make that name stick. Of course, of course, “Deux Jours, Une Nuit” is a Belgian film in French. But it’s SUPERB! It’s going to be high up on my Year’s Ten Best List that I’m now working on. Madame Marion already has an Oscar already, for “La Vie En Rose.” But it’s been seven years since that wonderful, historic event happened. No actress had ever WON an Oscar for acting in French. Could she do it again this year for “Deux Jour…”? I know it sound impossible, but if people like Sasha Stone and Jeff Wells keep writing about her chances so excitingly, maybe she will. It’s December 1, and the awards have started raining down on Richard Linklater’s “Boyhood.” This afternoon it won Best Picture(and Best Director and Best Supporting Actress) from the prestigious New York Film Critics, and this evening it continued its’ winning streak with the Gotham Audience Award where it again won Best Picture.”Birdman” however won Best Feature. This, in these categories, may be repeated and repeated endlessly for the rest of Awards Season, which is now totally upon us.It will be interesting to see what the L.A. Film Critics vote for next week. At the Gothams, Michael Keaton for “Birdman” snatched his mojo for Best Actor back from British giant Timothy Spall, who usurped his place this afternoon by winning Best Actor in a delightful surprise for “Mr. 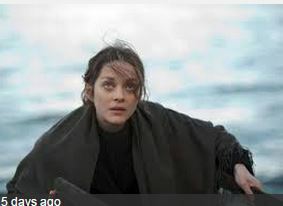 Turner.” Julianne Moore did the same by triumphing at the Gothams for “Still Alice” whereas Marion Cotillard won this morning for Best Actress at the NYFCC for “The Immigrant” and “Two Days, One Night,” the later a Belgian film in French. Gregory Ellwood has a very funny blog on the Gothams at http://www.hitfix.com along with a list of all the happenings and all the rest of the winners. And the Academy, who doles out the Oscars, may not wish to participate in rubber-stamping “Boyhood,” a film it may not relate to(as I myself didn’t). But it sure looks and feels like an awards juggernaut starting today. And tomorrow the National Board of Review chimes in. 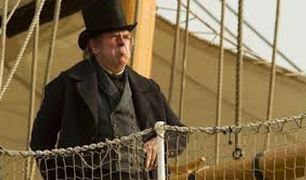 Timothy Spall Wins Best Actor for “Mr. Turner” from NY Critics! In a totally surprising move, British actor Timothy Spall has just won Best Actor for “Mr. Turner” at the New York Film Critics Circle! And I just had the great honor and privilege of interviewing him myself this morning for “The Stephen Holt Show”! I’m thrilled! He’s a great natural story-teller, and we both shared a common Cockney background. He’s a real one. I LIVED in London’s East End for years back in my salad days when I was struggling to be a playwright and an actor, and supporting myself by being a char. (a house-cleaner) No. Really! It’s true. If any one experience in my life made me tough, it was that. Being a house-cleaner in a foreign country for over three years. It was one of the formative phases of my youth. This historic interview will be on-line shortly. Black director Steve McQueen won Best Director from the New York Film Critics, but otherwise “12 Years a Slave” a masterpiece IMHO was ignored by the NYFCC, the Gotham Awards and the National Board of Review. It’s official. There’s a “12 Years a Slave” racist backlash in full swing. And it makes me very angry. The beneficiaries of this most racist slate of awards voting I’ve ever seen in my adult life of covering entertainment are strangely( but good for them), Ryan Coogler and the actors of “Fruitvale Station”. “Fruitvale Station” is goodness knows about racism and its tragic effects and I’m the first one to cheer for Octavia Spenser, Melonie Diaz and Michael B.Jordan. Coogler scored with all three critics groups, much to his astonishment as I described in the previous post. If you were handicapping the Oscars (Like Tom O’Neil does on http://www.goldderby.com), you’d have to take note that young Coogler has scored ACROSS THE BOARD. And the lacerating “12 Years a Slave” did not. “12 Years a Slave” has the disadvantage of being the early front-runner, which as Oscar Goddess Sasha Stone says historically is the worst place any deserving film can be. http://www.awardsdaily.com And unfortunately, she’s absolutely right. A pushback, a take-down seemed impossible. But three days of dealing with this VERY bad news for “12YAS” it now seems inevitable. So word got out that “12 Years a Slave” was a difficult sit. It’s challenging, frightening, electrifying and horribly historically accurate. Which is what makes it great. And I’m ashamed that these cowardly critics turned their faces away from the reality of slavery depicted in this majestic movie. Sasha had a feeling this was going to happen, but I thought if it happened at all it would be in insular L.A. not knowledgeable New York. DISGRACE! Steve McQueen getting Best Director from the NYFCC is to be applauded of course, but it almost seems like a boobie prize when Best Actor goes to Robert Redford for “All’s in the Wash” And the brilliant, painful performance of Chiwetel Ejiafor is left out!?!? REALLY, New York Film Critics!?!? REALLLLLY?!?!? And the searing supporting performance of Lupita Nyong’o is ignored by them in favor JENNIFER LAWRENCE?!?!? This is for “American Hustle” the David O. Russell film which I haven’t seen yet. I’m sure she’s fine. But REALLY, New York Film Critics?!?!? Really?!?! For SHAME!!!! A BIMBO over an abused slave?!?!? And to ad insult to injury, they named “American Hustle” best picture!?!??!? And while Jeff Wells at Hollywood Elsewhere has a source that says voting for Best Actor and Best Supporting Actress were THAT CLOSE. I mean, Michael Fassbender’s choice to go film in New Zealand and ignore the whole thing seems a wise one. I thought we lived in an enlightened age. But I guess not, Chiwetel and Lupita losing to TWO BLONDS?!? Robert Redford and Jennifer Lawrence is just unconscionable.